A-HOTEL.com - Luxury and cheap accommodation in Uspenskoye, Russia. Prices and hotel, apartment booking in Uspenskoye and surrounding. Offering a spa centre and hot tub, Health Resort Bes Chagda is situated in Nikolina Gora . Free WiFi is offered and private parking is available on site. Sosny Recreational Complex is located on the manks of the Moskva river in Sosny village, 20 km from Moscow. The property is 12 km from Zvenigorod resort. Offering a restaurant, a garden and air-conditioned rooms with free WiFi, Mini-Hotel GRC-Gorki 10 is located in Gorki 10 Village, 23 km from Moscow. All rooms and suites feature a satellite flat-screen TV and a minibar, some have a sofa. Maslovo Pansionat is located in the pine forest, close to Nikolina Gora. The property has a sauna and hammam, and guests can enjoy a meal at the restaurant. Gorka Hotel is set in Aksin'ino and has ski-to-door access and a terrace. Featuring a 24-hour front desk, this property also provides guests with a children's playground. Pansionat Petrovo-Dalneye is located in Petrovo-Dalneye near the Istra and the Moskva River, 20 km from the Ring Road. The rooms offer a balcony, fridge, sofa and flat-screen TV. L`Hotel is a 4-star property located in Lapino. This 4-star hotel offers free WiFi. Situated in Bolshoye Sareyevo, Rezidenciya Sareevo features free bikes, garden, terrace, and free WiFi throughout the property. This hotel offers a 24-hour front desk. Featuring free WiFi, a barbecue and a children's playground, Resort Polyani offers accommodation in Voronki. There is a tennis court and a bowling alley on site, and guests can enjoy the on-site restaurant. Providing free WiFi, Hotel Next is located in Perkhushkovo. Boasting a 24-hour front desk, this property also provides guests with a restaurant. Offering a barbecue and terrace, Uspenka is set in Odintsovo in the Moscow region, a 10-minute drive from the Moscow Ring Road. Guests can enjoy the on-site restaurant. Ilyinka Sport is located in Alexandrovka, 13 km from Moscow. It features a sport centre, sauna and water park. Tvoy Dom Hostel provides accommodation in Mocha. All rooms boast a kitchen and a private bathroom. Set in Obushkovo in the Moscow region Region, 36 km from Moscow, Staryi Dvorik features a barbecue and a Russian sauna. Guests can enjoy the on-site bar. Situated in Odintsovo, гостиница "Серая Лошадь" offers a garden and terrace. Among the facilities of this property are a restaurant, a 24-hour front desk and a concierge service, along with free WiFi. Located near Odintsovo, Takt Hotel is within a 10-minute drive of the Moscow Ring Road. Free Wi-Fi is provided throughout the hotel and free private parking is available on site. Boasting accommodation with a balcony, Апартаменты на Петровском is located in Golitsyno. It is set 22 km from Patriot Congress and Exhibition Centre and offers free WiFi. Featuring a garden, Country Club Yudino Park is set in Yudino. With free WiFi, this 4-star hotel has a bar and on-site dining. Set in Vniisok in the Moscow region, 28 km from Moscow, Hotel Dobrye Sosedi boasts a children's playground and sauna. Guests can enjoy the on-site restaurant. 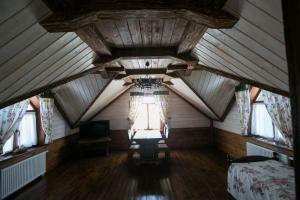 Aparthotel NEP Dubki is a self-catering accommodation located in Odintsovo. Free WiFi access is available.